CES 2019 was an exciting place for healthcare. Not only did I get to see my friend Eran Orr with VRHealth, I got to catch up with the CEO of StoryUP XR, Sarah Hill. Her immersive healthcare platform Healium XR was on full display in Eureka Park. And let me tell you, there was a long line of people wanting to try it. Healium XR is a virtual and augmented reality platform that employs biometric controls from user wearables such as a Muse headband for the head or Apple Smartwatch on the wrist. The smartwatch monitors a person’s heart rate, while the Muse headband has an EEG strip that measures the electrical output from a brain. Healium couples the biometric feedback data from these devices with visual stimuli to create mindful experiences. Biometric data output is displayed in form of brain waves inside the virtual reality goggles or the augmented reality mobile screen in real-time. While both software and hardware is used, the main component of Healium XR is ‘You-ware’. It is the user’s brain and heart rate that really fuel the experiences. These immersive healthcare experiences from Healium XR are designed to calm down people in confined-stress situations. The user can see the waves moving up and down as a user controls their thoughts. It encourages users to explore positive feelings that in turn, allow the story to progress within the experience. For example, as a user’s heart rate lowers, the solar system shines brighter or flowers grow. By bringing the biometric data from the wearables to life, the virtual and augmented reality stories help alter a user’s mood, blood pressure, and outlook by engaging in thought-centric activities. Healium XR’s goal is to remind everyone that thoughts and feelings have power. For people in high-stress or stress-confined situations such as first responders, military, caregivers, and hospital staff, transforming stressful situations into calm and positive feelings is vital for overall well-being. According to the World Health Organization, stress is a 21st Century Health Epidemic. Most of the reported stress cases are work-related. Healium XR provides a powerful tool to foster mindfulness not unlike meditation. While one usually practices meditation with eyes closed, Healium XR helps the user become more self-aware with the eyes open. 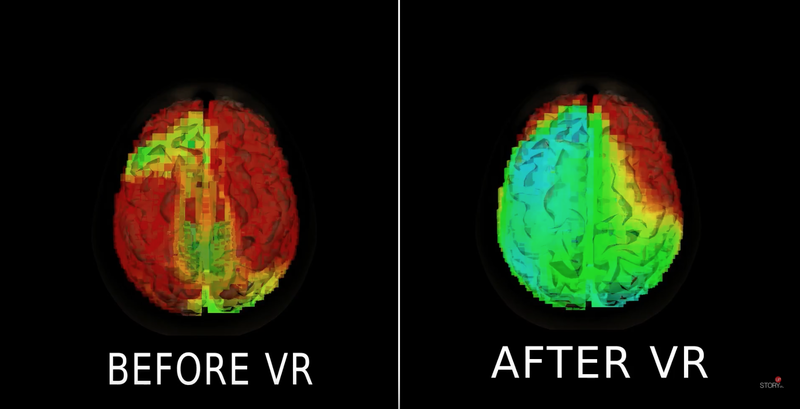 Through neuro-meditation, a user sees their brainwaves and heart rate allowing them to make real-time adjustments to the virtual environment by what they think or feel. 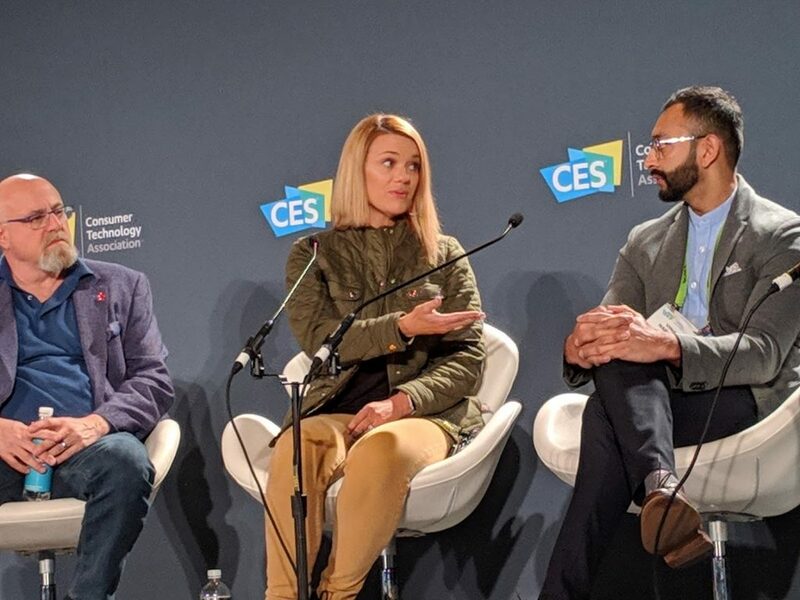 At CES 2019, Sarah Hill discussed the challenges of VR and AR in enterprise with author Charlie Fink (left) and HTC Vive's Vinay Narayan (right). 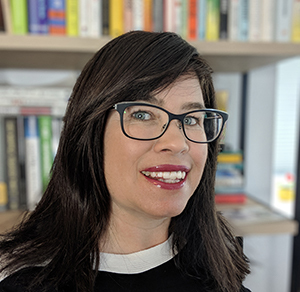 Healium XR’s CEO Sarah Hill is no stranger to storytelling or to stressful situations. 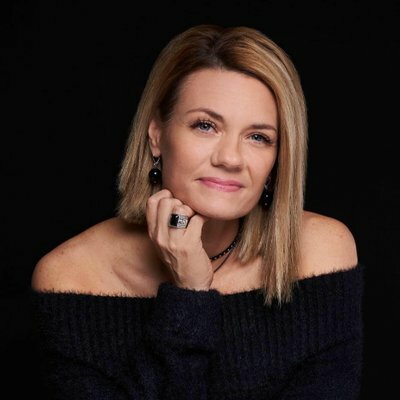 As a former television news reporter, she kept on-air composure while relaying difficult and traumatic events to the public. After 20 years of internalizing her feelings and emotions, the weight and stress of the job caused her to seek medical attention. She was diagnosed with debilitating panic attacks. Rather than take medication, she re-focused her efforts on positive storytelling. But it wasn’t enough, she still had trouble sleeping. Her husband’s colleague was a psychologist named Dr. Jeff Tarrant. Jeff had been working with neurofeedback technology to see if his clients could settle their minds a bit faster than with traditional therapies. Sarah wanted to try it out so she asked Jeff if he could “prescribe” her the treatment. Her first experience with neurofeedback involved using her brainwaves to concentrate on a small airplane. Through this activity, she was able to learn what thoughts or memories she needed to recall in order to slow the fast waves in her brain. Once she realized the power her thoughts had to control her stress, she knew that she could use her experience and her prowess for storytelling to help people in similar situations. And with that, she partnered with Dr. Jeff Tarrant and Healium XR was born. 'XR', which in our shop is short for ‘extended realities’, but coincidentally it’s also the opposite of RX. It's a portable, digital, chill pill. Healium XR is available on mobile devices and Oculus Go. For more information on Healium XR, visit TryHealium.com. Kristi is the founder of healthiAR and is inspired by the impact immersive technologies have on healthcare. Find out more at getkristi.com.